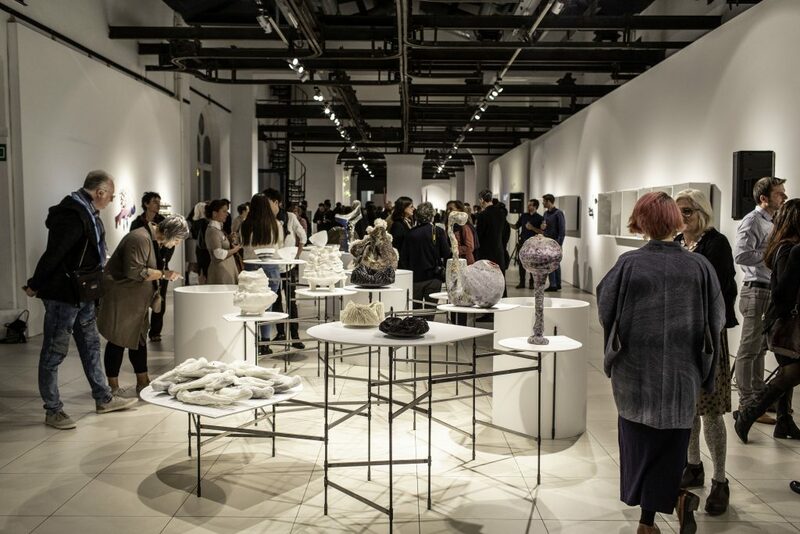 To mark the opening of the European Prize for Applied Arts exhibition on October 20, two works were selected as the overall winners of two awards. Talk to Me by UK metal craftswoman Adi Toch was awarded The Master Prize by the Federation Wallonia-Brussels, while Takayoshi Terakima took home The Young Talent Prize which was awarded by WCC Europe. A theme anchored in the 2018-19 biennial of Mons, Belgium. The theme has been chosen in reference to the Franco-American artist Niki de Saint-Phalle, whose a retrospective is consecrated at the BAM, event which will inaugurate the biennial in next September. An event at the European scale. 600 creators who came from across Europe have answered the call. A jury of experts met to analyze the files. For two days, they have discovered the artists’ propositions before their final selection that represents 76 candidates from 19 different European countries. They will expose in the Grande Halle of the Mons Anciens Abattoirs site. The European Prize for Applied Arts aim to reward the best contemporary expression’s creations in the field of the Applied Arts and Craft. The winners of the Art Master Prize (3500 €) and the Young Talent Prize (3000 €) will be appointed by a jury of international experts based on requirements of artistic merit, technique and innovation expertise. In 2019, the European Prize for Applied Arts will leave Belgium. In Belgium: this initiative is registered in the program of the 2018-19 biennial of Mons. It is set up by the WCC-BF in partnership with the Pôle muséal of the city of Mons and benefits the support of the Wallonia-Brussels Federation. For the occasion, Évelyne Gilmont will take care of the scenography in the Grande Halle of Mons Anciens Abattoirs site.